Mardi Himal Base Camp Trek is a beautiful adventure. This nature walk takes us into the Annapurna Region on the western Nepal. Mardi lies on the lap of Mt. Machhapuchhre (Fishtail). Mardi Himal is gaining popularity due to its serenity and majestic views. This trip is ideal if you are looking for a short and beautiful trek in the mountains. 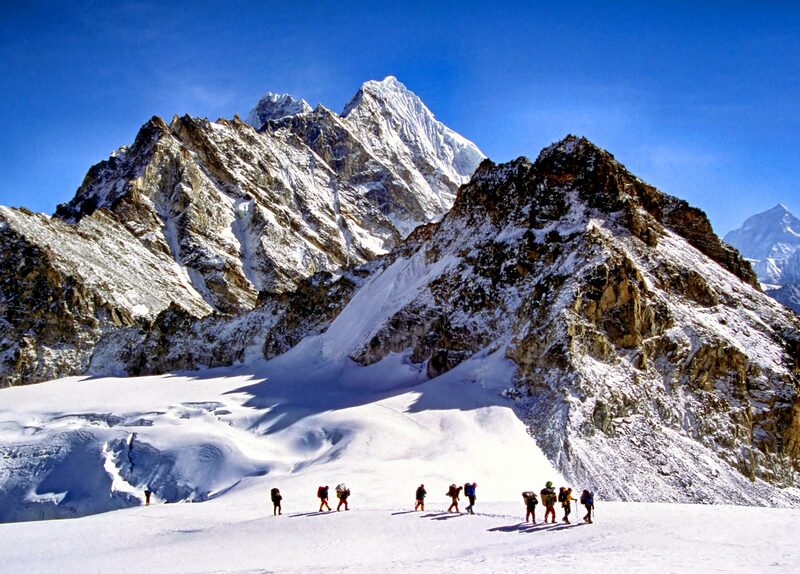 Below, we have listed 5 awesome reasons why this trekking trip is simply incredible. Also listed are some facts about the trip to begin with. Where does the Mardi Himal Trekking Start from? The trekking adventure starts either from Dhampus Phedi or Kande near Pokhara. It is about half hour drive to Dhampus Phedi or forty-five minutes’ drive to Kande from Pokhara to start the trekking. Once the Mardi Himal Trekking adventure begins it goes through the beautiful lush forest towards the Mardi Himal Base Camp. The Trekking part alone can be done in 5 days from Pokhara to Pokhara but taking a little longer time with an acclimatization day is advisable as the trek takes you to the elevation of 4,500 meters towards Mardi Himal Base Camp. How many hours of trekking every day? Most of the days have 4-5 hours of average trekking duration with Mardi Himal Base Camp and return day as long as 7 hours. The accommodation along the trekking region is good (for the remoteness). All tea-houses have traditional heater at the center of main room, and fiber blankets that keep warm at night. Sleeping blankets and tents aren’t necessary. While in Kathmandu and Pokhara, our clients are provided comfortable stays at 3-star Hotels. Be prepared for some cold at the base camp. Mardi Himal Base Camp is absolutely thrilling. Standing at 4,500m, it best showcases the Machhapuchhre Himal – Mt. Fishtail (6,993m). She dwarfs Mardi (5,587m) and other surrounding peaks, even though these other peaks are mighty Annapurna, Ganesh and Dhaulagiri ranges. Mardi Himal trails follow through lush forest. It is energizing hiking activity. The peace and serenity is further enhanced by melodious sounds of birds, crickets, river and the mountains. Mardi Himal Trek receives lesser trekkers than the Annapurna Circuit, Annapurna Base Camp and other trekking areas of Nepal. Recently, during trekking seasons, Mardi also gets crowded. However, it is beautiful and less crowded. Don’t throw thrash and keep the trails clean. This trekking region provides a beautiful view of the Himalayan peaks in the Annapurna range. The top has something much more fascinating. The close-up view of Machhapuchhre peak and panorama of other mountains are beautiful. You won’t want to come back. Mardi, along with other trekking routes in the Annapurna Region, come with the perk of Pokhara Stay. Pokhara is naturally stunning and one of the most beautiful places of Nepal. Chill by the Lakeside, climb up the Sarangkot Hill or Peace Pagoda, and do many more while you are in the valley. Another fascinating feature of this trek is an impressive elevation gain in less time. The trek starts at the elevation of around 1,000m/3,280ft and in less than four days it takes you to 4,500m/14,763ft without having to walk long. Each day walk is less than six hours.